Enhanced Portals brings a richer experience than the vanilla obsidian frames. 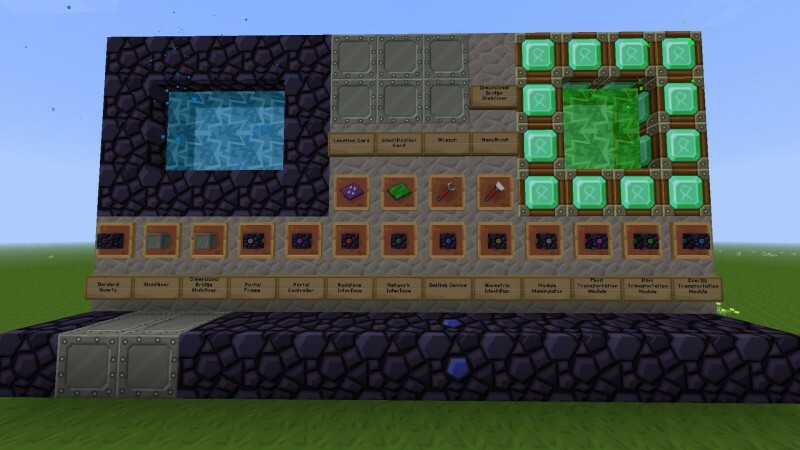 Transport players, mobs, animals, items, fluids, even energy to anywhere, whether it be 10,000m away, in the Nether, the Twilight Forest, or any other dimension. You can even design complex creations to help with other projects, like a spawner room or minecart system. The portals you design don’t even need to be in the shape of a rectangle, make them any shape you want to, as long as it’s a closed, flat area.